Throughout their schooling Israeli youngsters get regular visits from members of the military who explain the importance of the army in society. Today around half of Israelis are conscripted into the Israeli Defence Forces (IDF) from the age of 18, with men serving three years and women two. Those who are excluded include Arab Israelis – who make up 18% of the population – and until now the majority of ultra-Orthodox Jews (8% of the population) who are allowed to pursue their religious studies, though a recent new law will mean these citizens, too, can be drafted. Other citizens may not be conscripted because they are deemed physically or mentally unfit. In addition there are those who refuse to join the IDF – so-called refuseniks – because they are conscientious objectors, pacifists or they simply refuse to fight in the occupied territories. In rare cases some youngsters who refuse military service are granted exemption. So far in 2014 more than 100 Israeli teenagers have signed a declaration that they will not serve in the army, mainly because of their opposition to Israel's “military occupation of Palestinian territories”. They could face jail later this year; at least one has already been sentenced to 20 days in prison. In this report photographer Martin Barzilai has photographed and spoken with Israelis from different age groups who have refused to bear arms; a refusal that earned many of them jail time. The original interviews were carried out in 2009, though some have been updated to reflect current events in the Gaza. → See also: 'Why I refused to serve my Israeli army division in Gaza'. 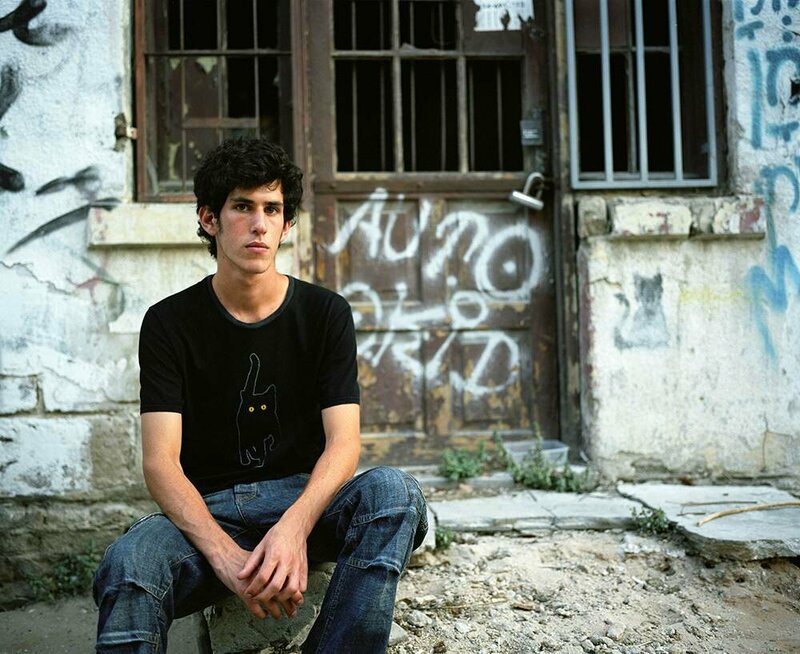 Yuval, aged 25, student: “I decided to go to prison to protest against the occupation. I've been in military prison three times. I'm happy that I took this step but I'm not sure I'd do it again. I did nothing wrong and yet I was punished. I don't believe I deserved such a punishment. Obviously we used going to prison to highlight the occupation of the Palestinian territories. Let's say it's a good way to carry out the struggle but perhaps there are better ways.” Tel Aviv 2014.